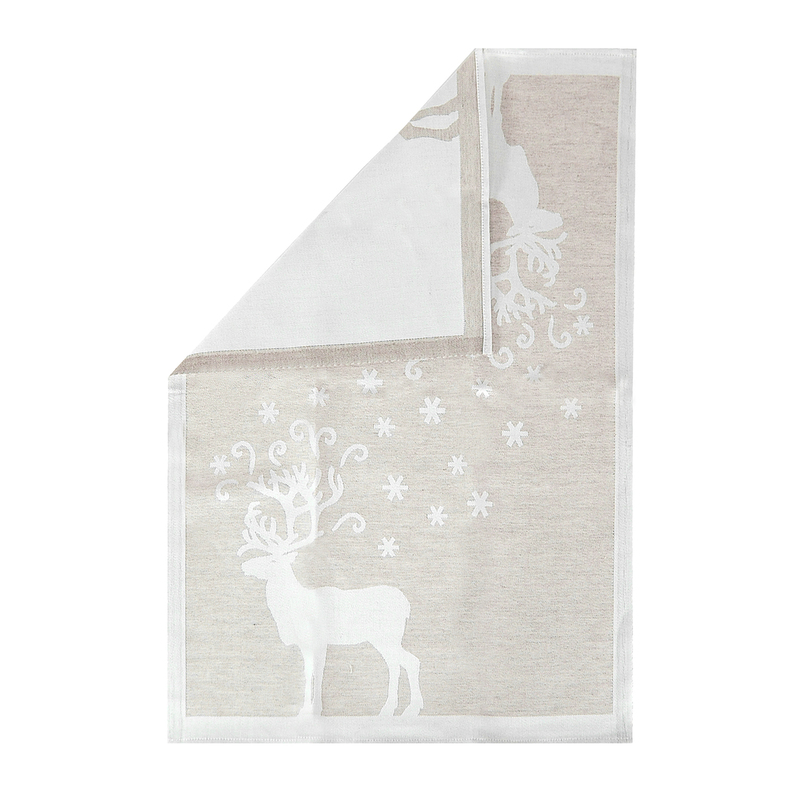 More about Lapuan Kankurit Valkko Linen Tea Towel Left a natural linen hue, the Lapuan Kankurit Valkko Tea Towel is a soft and minimal way to welcome the holidays into your kitchen. 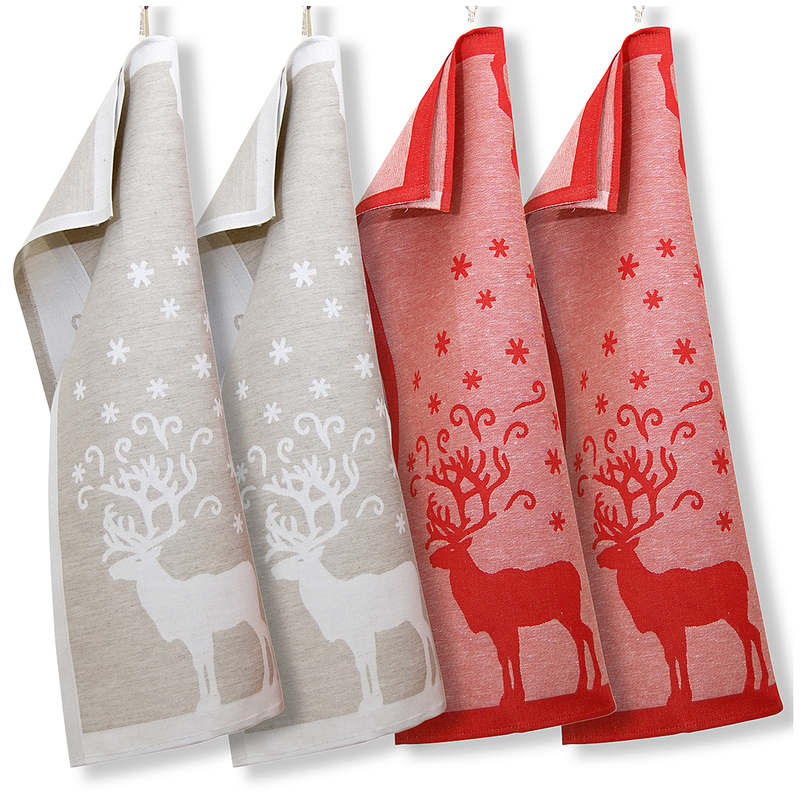 The snowy reindeer is mirror on both top and bottom, and the towel is reversible with an opposite colorway on the other side. Whether you use this towel to dry dishes, cover warm pastries fresh from the oven or just as decoration, the natural and high-quality cotton/linen blend will work wonders. 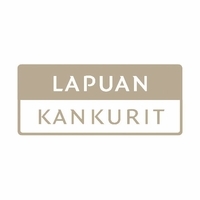 In fact, Lapuan Kankurit is the only Scandinavian weaving mill qualified to use the European 'Master of Linen' logo on its products because of the fine materials and refined skill put into each product. Care: Wash separately in plenty of water. Do not tumble dry. This is a lovely subtle reindeer pattern. The towel wrinkled and edges rolled after washing and drying. Beautiful design and feels luxurious. Almost too beautiful to use as a tea towel. Fine quality linen towel; dries dishes thoroughly without leaving lint. The reindeer them is a personal favorite.